​Gwilym Simcock has carved out a career as one of the most gifted pianists and imaginative composers on the European scene. He moves effortlessly between jazz and classical music, with a ‘harmonic sophistication and subtle dovetailing of musical traditions’. Gwilym was the first BBC New Generation Artist from a Jazz background, and his album “Good Days at Schloss Elmau” was album of the year in 2011 at the prestigious British music award the ‘Barclaycard Mercury Prize’. He has performed with orchestras, choirs, big bands, dancers as well as performing with musicians from diverse backgrounds including the classical, jazz, folk and rock traditions. Gwilym has also written music that has appeared on television and on stage, most recently composing the music for an adaptation of Edward Albee’s classic ‘A Delicate Balance’ at the Almeida theatre in London. 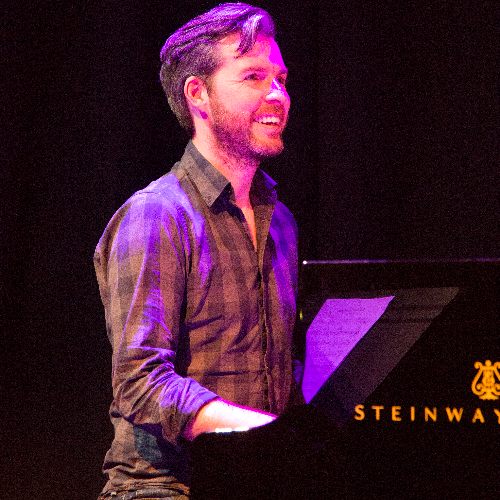 He has frequently appeared on British television and radio and was guest presenter on ‘Saturday Classics’ on BBC Radio 3, and recently mentored and accompanied the finalists at the first BBC Young Jazz Musician of the Year awards on BBC4 TV.